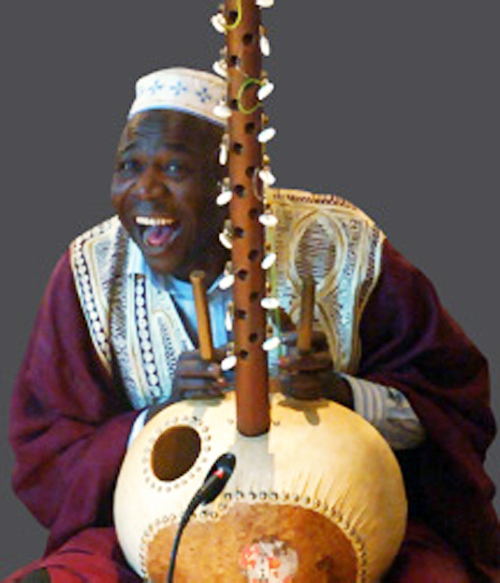 Master African kora player for hire. 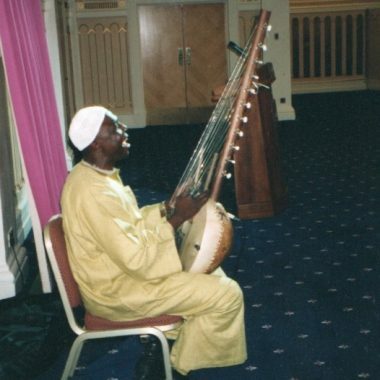 Seikou Susso is a master kora (African harp) player from Sukuta Nanie in The Gambia, West Africa. He is from a family of Griots known as Jalibas, who tell the History of the Mandingo ancestry through music and poetry. 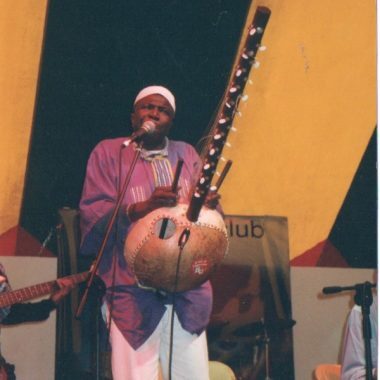 Seikou started learning to play the Kora at the tender age of six, under the expert guidance of his father Jaliba Denbo Susso. His mother too is from a Griot family and he has a sister, Debar Susso, who is a well-known singer in West Africa. 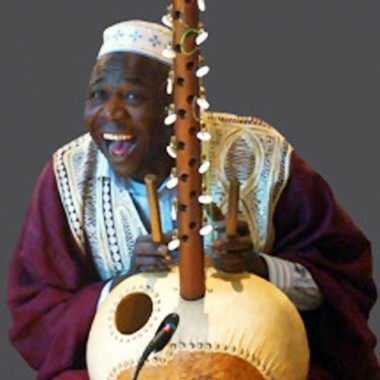 Seikou would accompany his father on all his outings, so his first encounter with the Kora was to sit beside his father when he was playing and tap on the calabash (gourd), which makes up the back body of the instrument. This was to take him to many places, such as hotels, gatherings of elders and community events, like marriages, naming ceremonies etc. He came to England in 1991 and since then has worked with musicians of many other cultures – something he finds very stimulating. He’s adapted his music to play with other instruments such as piano, violins, harp, cello and keyboard. Seikou is very proud to promote his culture through performances and story-telling workshops. He is available as a soloist or can provide the services of a duet, trio or the ‘full Monty’ in the form of a five piece band with African dancers. 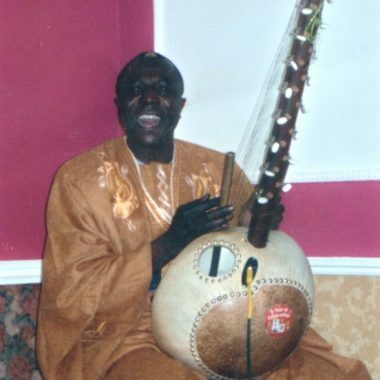 Seikou has worked in conjunction with music festivals and universities to provide workshops teaching students to play the kora or giving taster sessions as well as performing. He has appeared at countless festivals, participated in theatrical projects, worked in film and TV, been a Cultural Ambassador for his country to promote tourism, undertaken numerous Black History Month events and performed for Nelson Mandela at the Queens Hotel, Leeds. Seikou Susso’s style of world music is adaptable to all occasions from the Edinburgh Harp Festival to the fields of Glastonbury! The ants trust the crafty half-spider, half-man Anansi to their cost in this traditional story. Greedy Bird tries to outwit the other birds but his greed ends in disaster in this moral tale. A beautiful story which goes with traditional songs which children can join in singing.